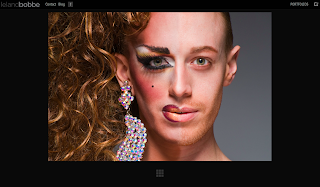 in medias res: Leland Bobbé's "Half Drag"
These are really fascinating to me. In addition to how interesting the comparisons are, I found that I usually couldn't "see" the feminine side properly with the masculine side showing -- I had to cover the right to see how the left really looked. I didn't feel like the opposite was true, though. I wonder why that is. 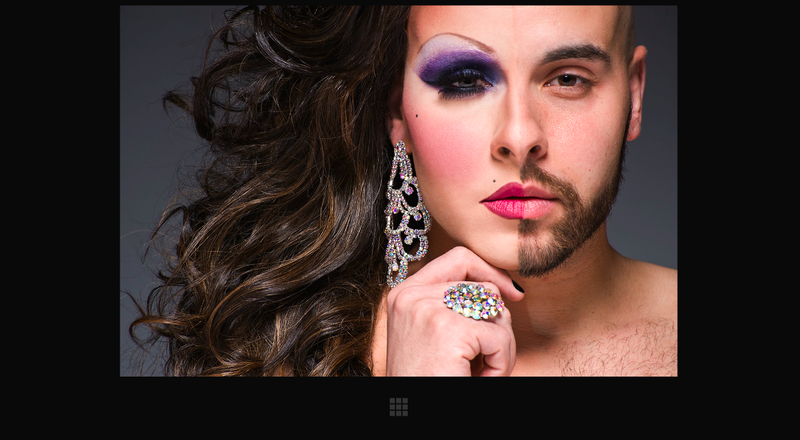 I also found that some of the subjects actually looked *more* masculine on the drag side of the photo. Again, I wonder why that is. Interesting stuff, and lovely photographs.